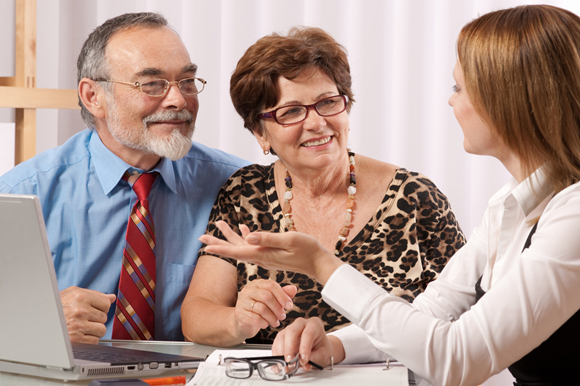 The tax law provides a unique planning opportunity for retirees who have to take required minimum distributions (RMDs). You're allowed to transfer funds directly from your traditional IRA to a qualified charitable organization without paying any federal income tax on the distribution. Although the contribution isn't tax deductible, it does count toward your RMD for the year. This tax break—sometimes called a "charitable rollover"—had expired and been reinstated several times. Thanks to the Protecting Americans from Tax Hikes (PATH) Act of 2015, however, the tax provision is now permanent. Under the PATH Act, someone who's at least age 70½—the age at which RMDs must begin—can instruct an IRA custodian to move up to $100,000 of funds from that person's IRA to a favorite charity. A married couple can transfer up to $200,000, assuming they're both old enough to begin taking RMDs. Can't you accomplish the same result by taking a taxable IRA distribution and then donating that amount to charity? Not exactly. There are several other factors to consider, including annual limits on deductions for donations to charity, plus potential tax return complications. What's more, the direct rollover is valuable to non-itemizers who aren't eligible to deduct charitable contributions. And this method is simpler. There are, however, a few more details to attend to with this approach. To qualify for the tax exclusion, the distribution must be made directly from the IRA trustee to a qualified charitable organization. You're not allowed to use the funds temporarily before transferring them to the charity's coffers. In addition, the contribution must otherwise qualify as a charitable donation. If the deductible amount decreases because of a benefit received in return — for example, the value of a dinner at a fundraiser — or the deduction would not be allowed due to inadequate substantiation, you can't take the exclusion. A bonus is that you're required to start taking RMDs in the year after the year in which you turn age 70½. If you take a charitable rollover, you can meet this obligation without paying the usual tax on an IRA distribution. This tax law provision also applies to Roth IRAs, though it may not be advisable to take this approach with a Roth. Roth IRA distributions to account holders over age 59½ are usually tax-free, and it doesn't make sense to use money that isn't taxed to make a donation that isn't deductible. But a portion of a distribution may be taxable if your Roth hasn't been in existence for at least five years. In that case, it might be reasonable to transfer the taxable amount directly to a charity.